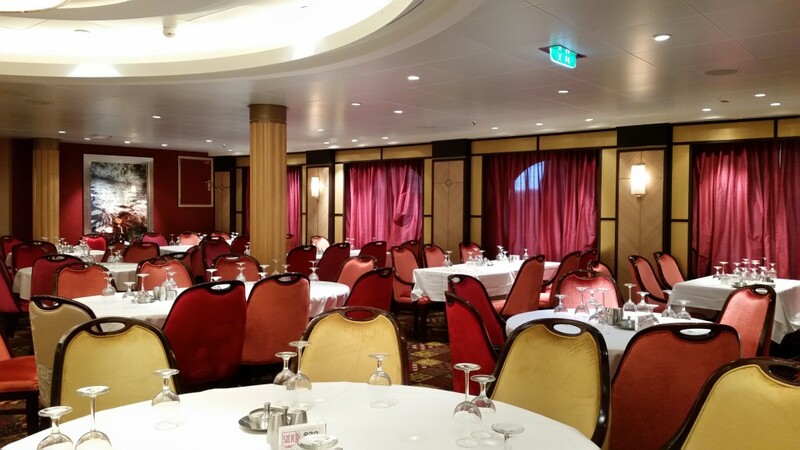 Since we had so much fun running around the ship during the cabin crawl, we thought we would organize our own little restaurant crawl today. 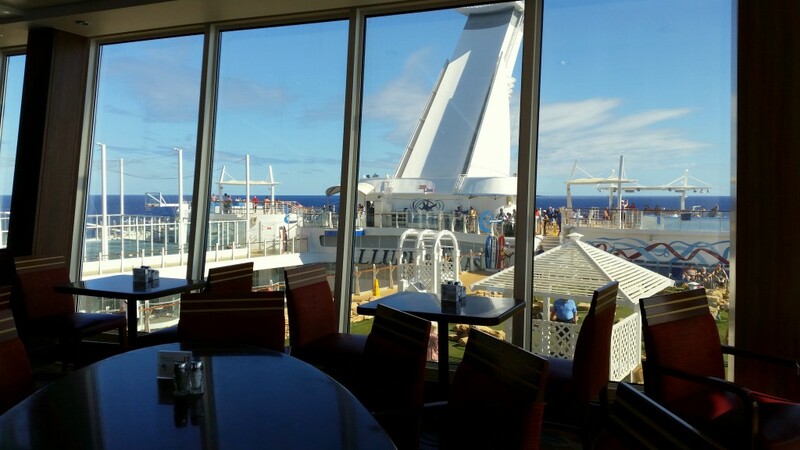 So, we put on our walking shoes and headed to the top of the ship. 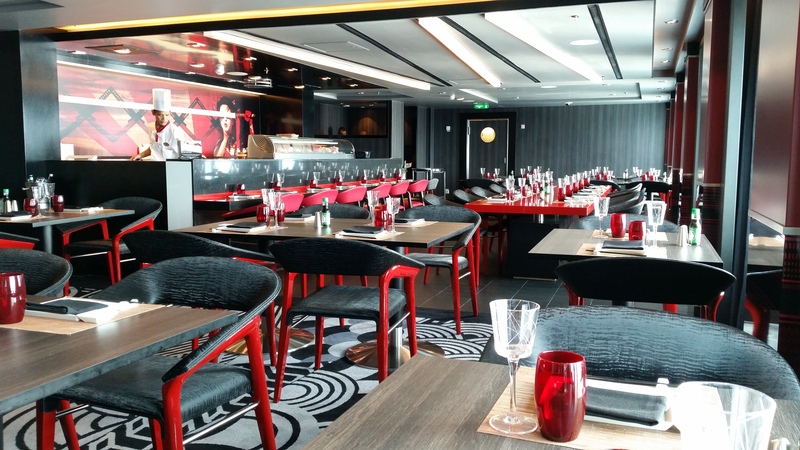 Exclusively reserved for suite guests, the new Coastal Kitchen on deck 17, takes up half of the former Viking Crown Lounge. 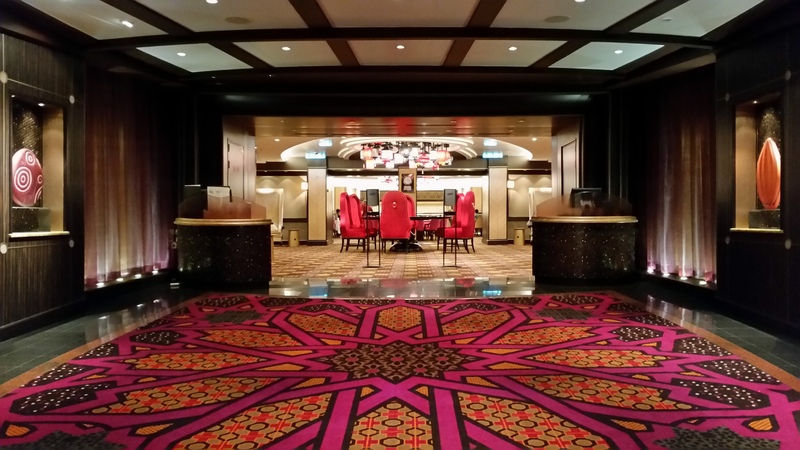 One floor down, on deck 16 you’ll find the Windjammer Marketplace. 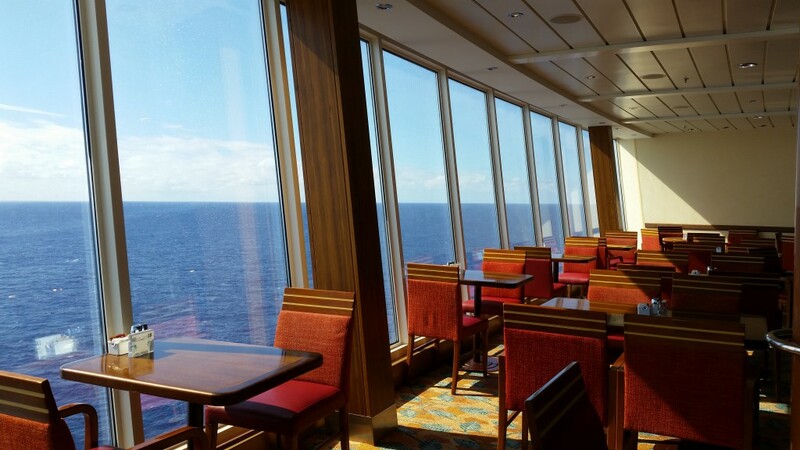 The best thing about the self-service buffet might be the views either of the back of the ship (the sportscourt, the minature golf and the zip-line) or the ocean. 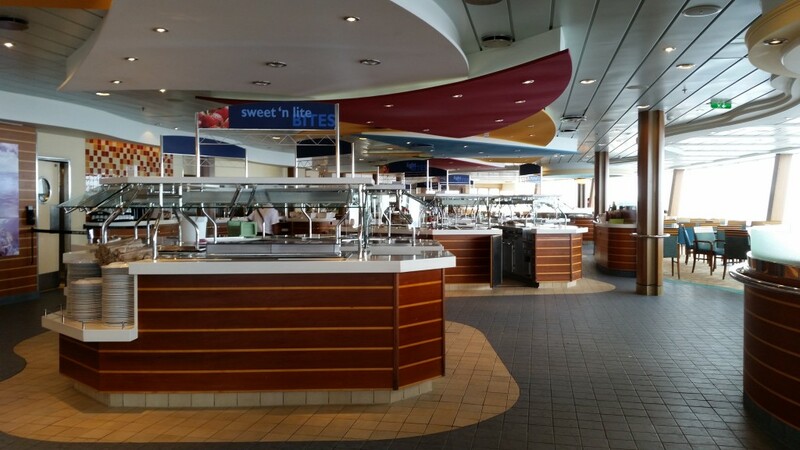 Going to the front of the ship, and down to deck 15, the Solarium Bistro offers dishes that contain 500 calories or less. 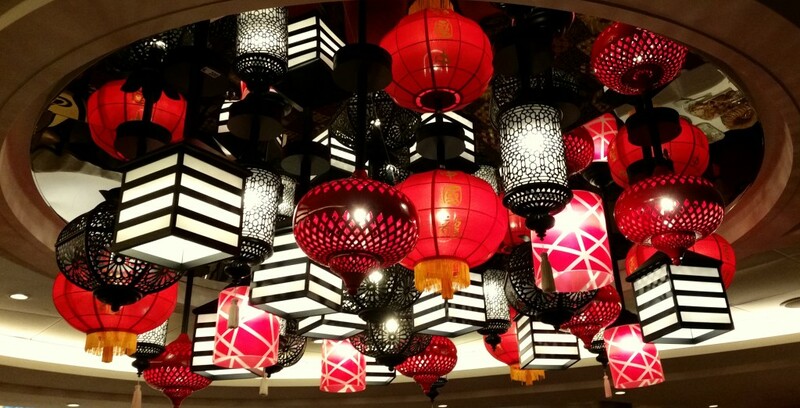 At night the Solarium Bistro transforms to Samba Grill, a hearty authentic churrascaria, where Brazilian style cowboys carve meats tableside. 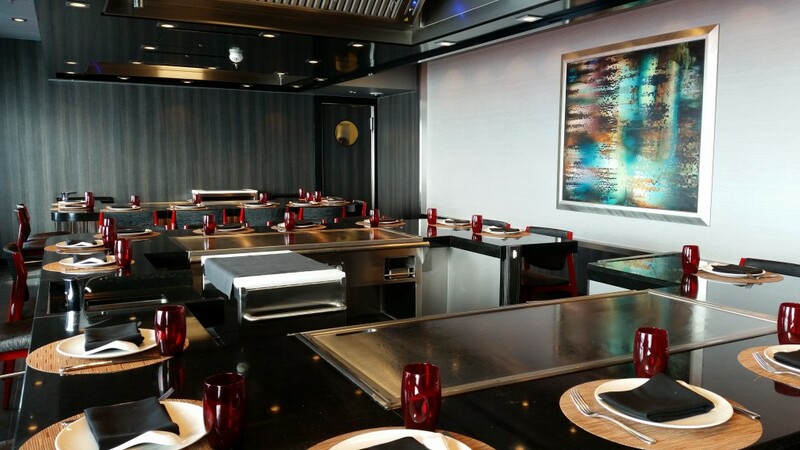 Hidden on the second floor of the Diamond Lounge on deck 11 is Chef’s Table, a “once-in-a-lifetime culinary experience”. Here up to 14 guests gather in an exclusive setting to enjoy a five-course, gourmet menu. 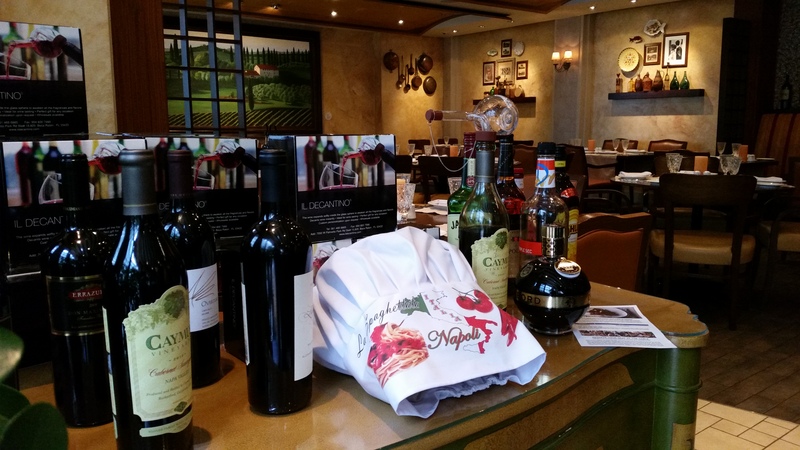 Each course is paired with a wine chosen to enhance the dish. 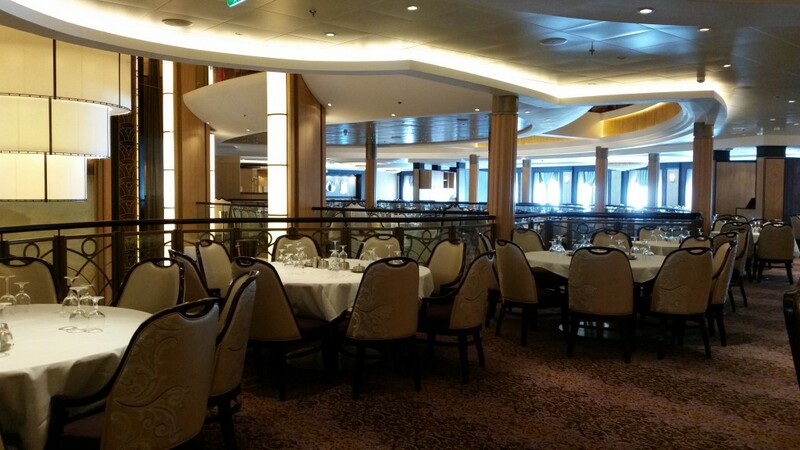 In Central Park on deck 8 there are a 3 specialty restaurants and Park Cafe. 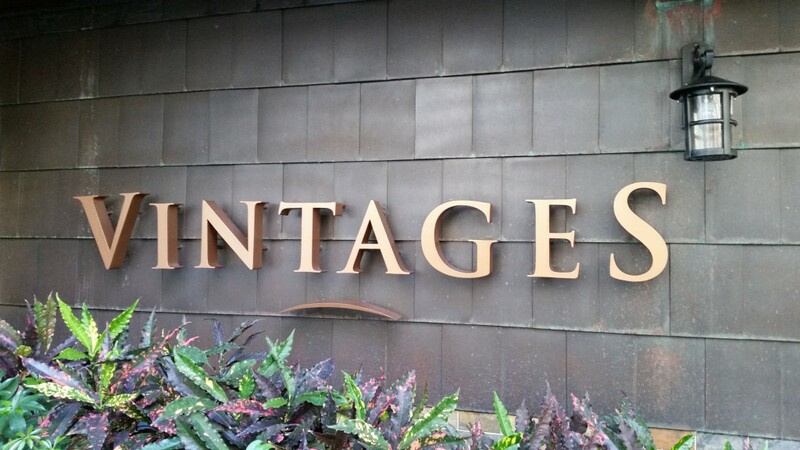 Vintages is the ship’s wine and tapas bar. 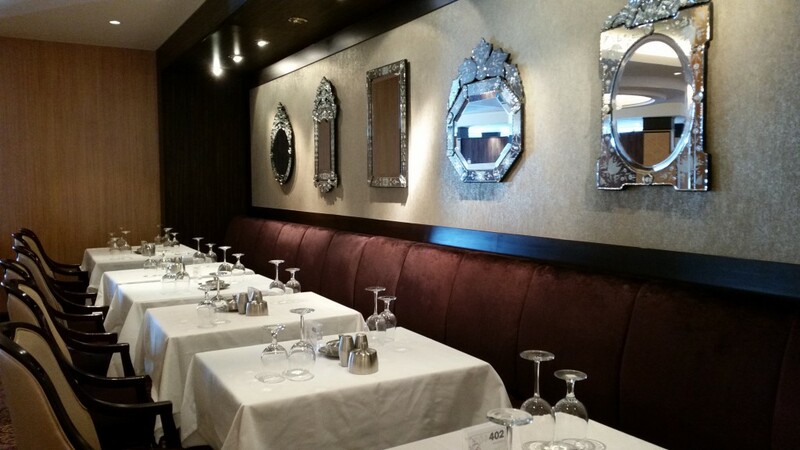 Next to Vintages is Giovanni’s Table, Royal’s Italian trattoria influenced by the Tuscan countryside. 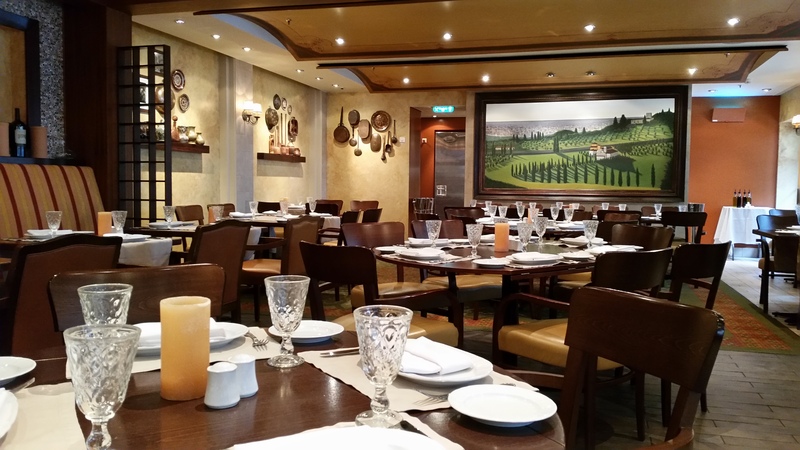 The restaurant offers a casual, family style dining experience with a traditional menu of antipasti, pizzas, pastas and grilled meat. Across Giovanni’s Table is Park Cafe, serving hot paninis and build-your-own bagels for breakfast, and made to order salads and sandwiches throughout the day. Though the small Park Cafe is a welcome alternative to Windjammer it is not always easy to find tables (inside and outside). Tip: if you want a bag a chips, this is the place to come. 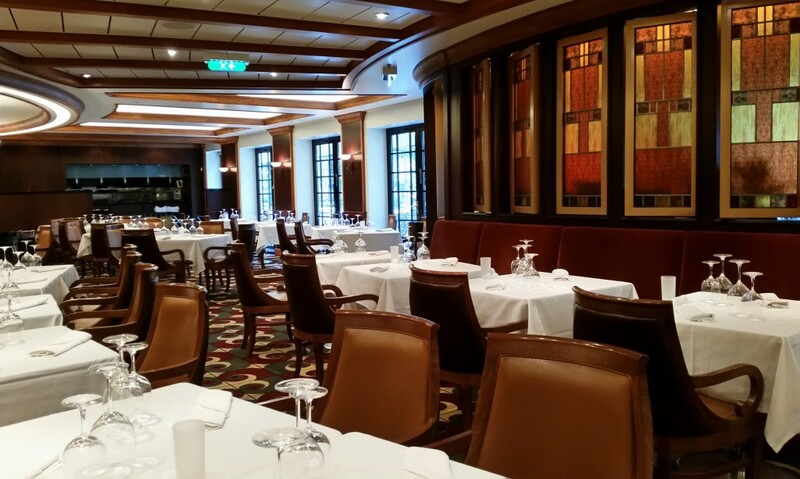 Located at the end of the park is Chops Grille, Royal Caribbean’s steakhouse. 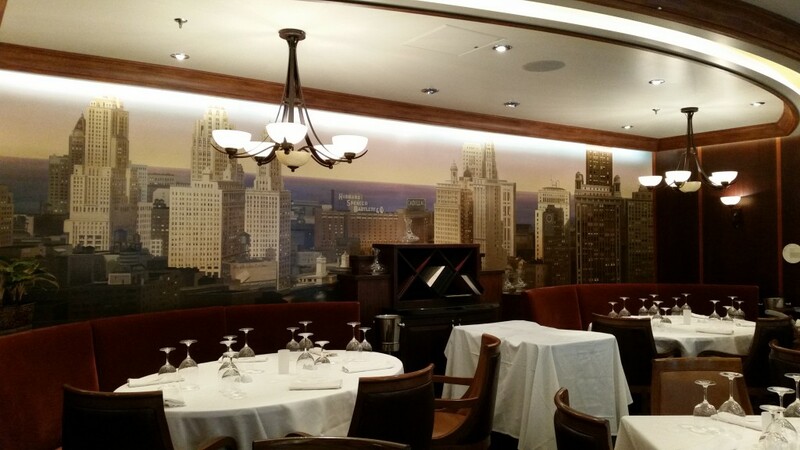 Chicago style “Chops” Restaurant is the place to enjoy “juicy steaks, fresh seafood, hearty side dishes and delicious desserts in an elegant atmosphere”. 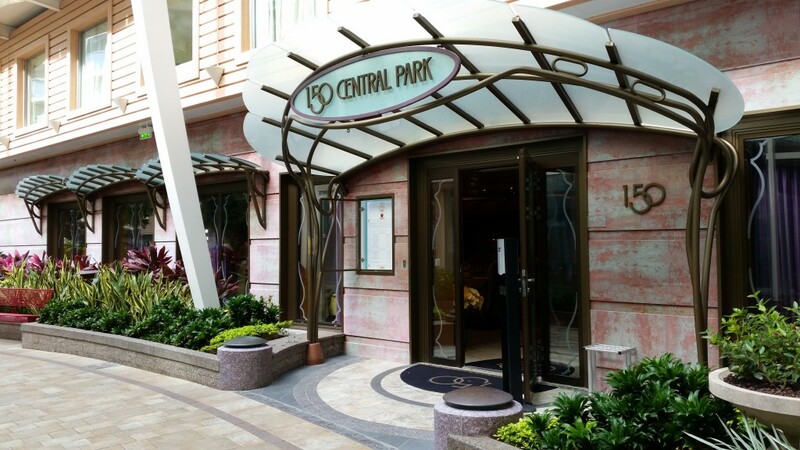 Facing Chops is 150 Central Park. 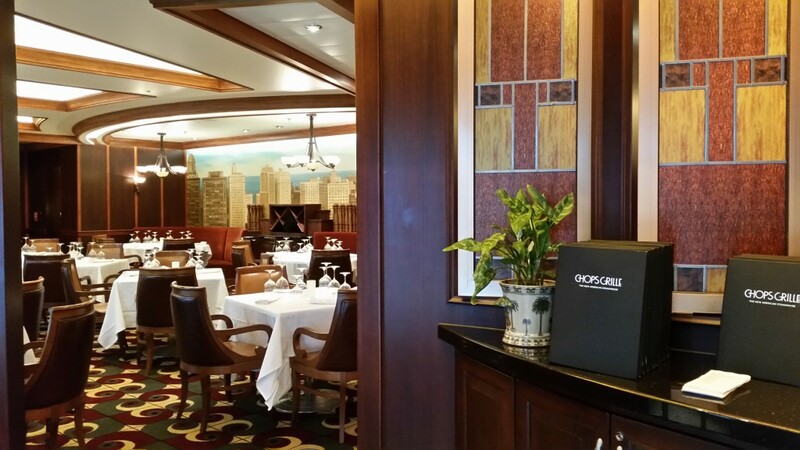 Only available on Oasis class ships, 150 Central Park is Royal Caribbean’s showcase dining venue. 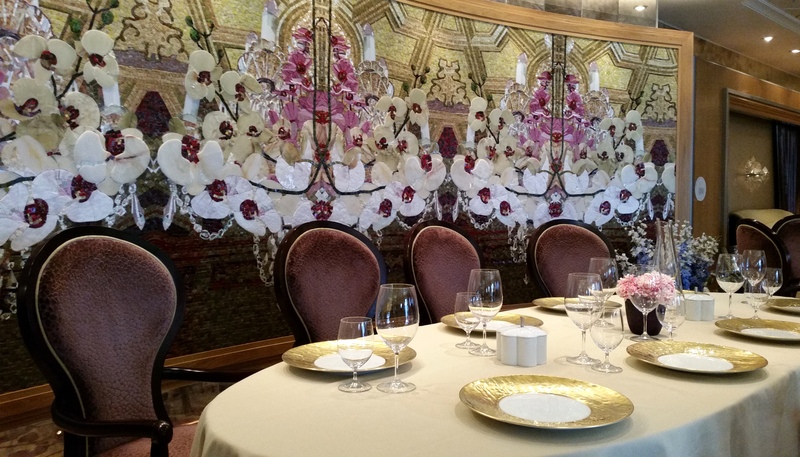 This most “exclusive and sophisticated restaurant” offers two six-course tasting menus. 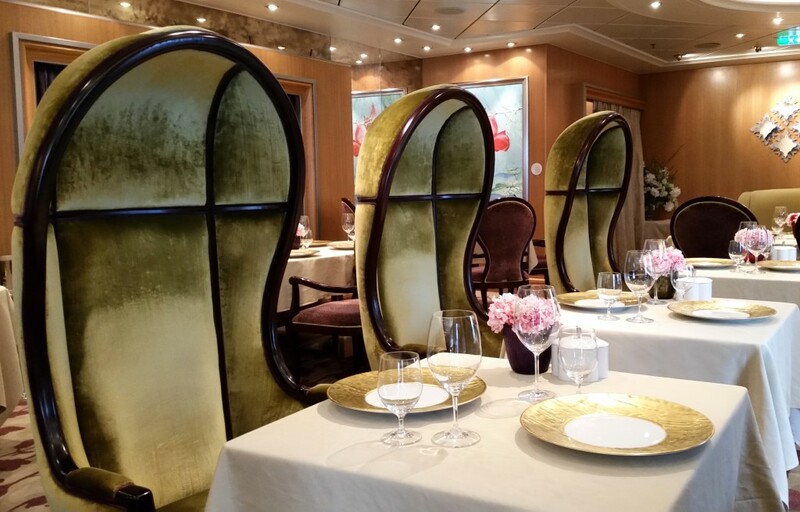 You an read more about our 150 Central Park dinner experience in our fine dining on the high seas post. 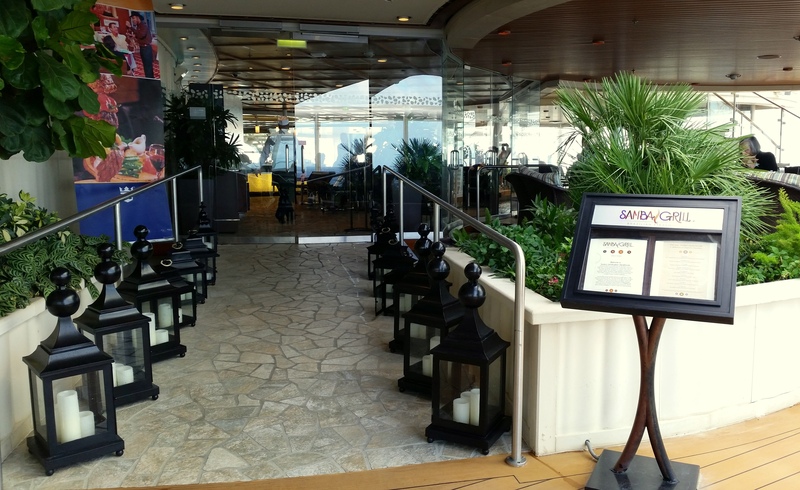 We took the aft staircase and descended 2 decks to the Boardwalk. Here you can find the Boardwalk Donut Shop, which is more like a self service vending machine where you can find free donuts in the morning. In case you can’t get a donut you can head on over to the Boardwalk Dog House, which serves all kinds of hot dogs. 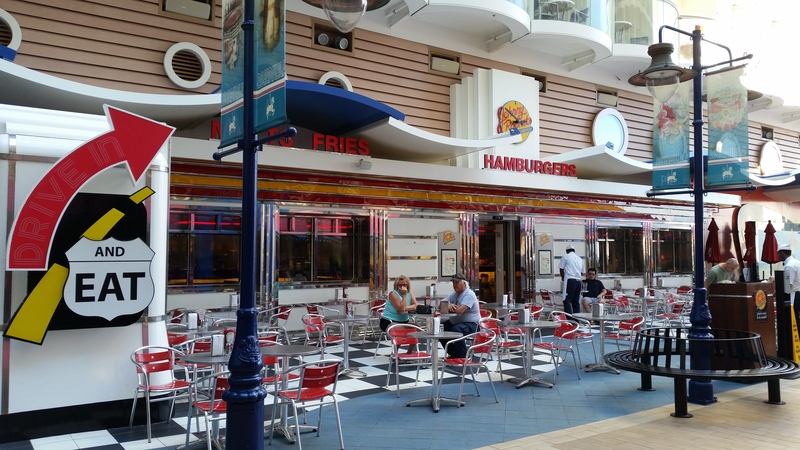 At the end of the Boardwalk you will find Johnny Rockets and Sabor. While you can get complimentary breakfast at Johnny Rockets, there is a cover charge if you want to grab a burger later in the day. 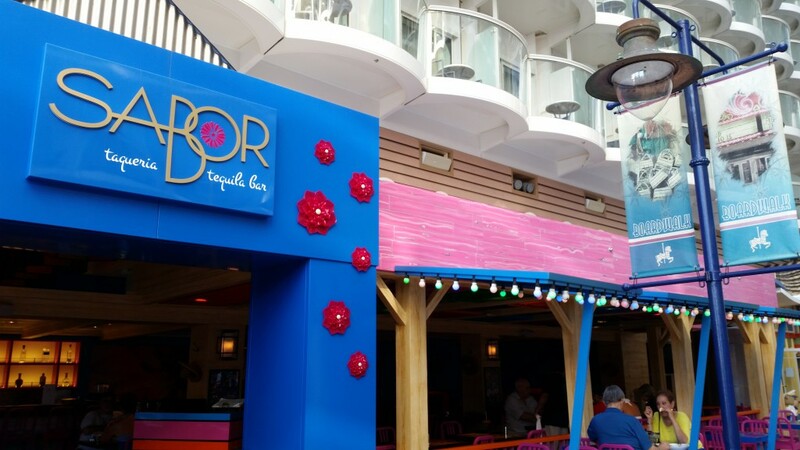 Sabor Taqueria serves Mexican food in a casual colourful setting. 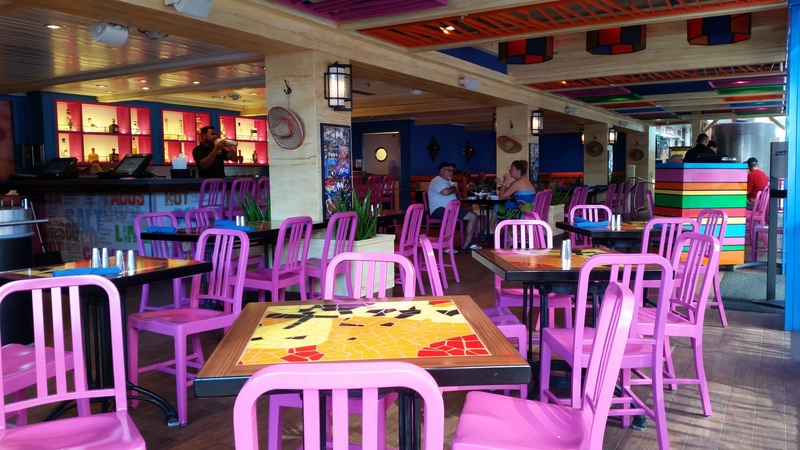 The food is a mix of tacos, quesadillas and yucca fries, they also serve a wide variety of tequilas. 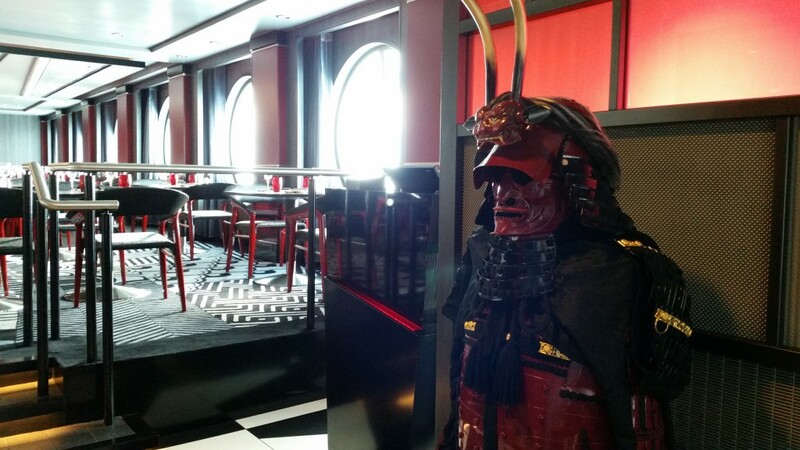 Back inside, on deck 5, right in the middle of the Royal Promenade, there are two places that are always open if you need something to eat. 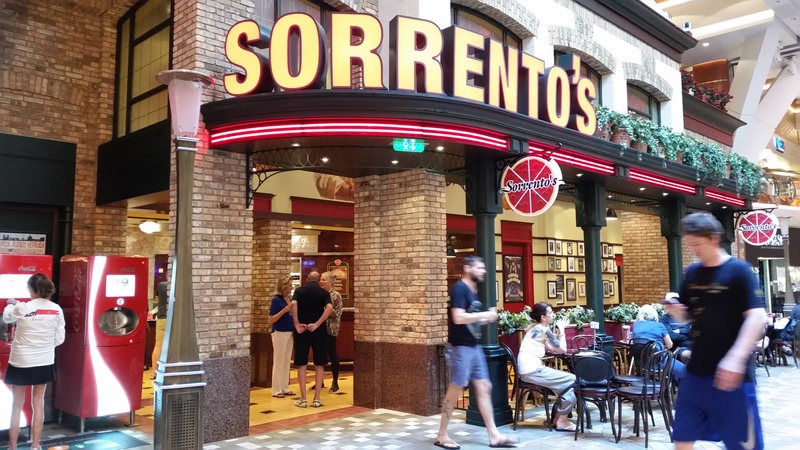 Cafe Promenade where you can get anything from brownies, cookies to small sandwiches, and Sorrento’s Pizzeria which offers free pizza whenever you want. 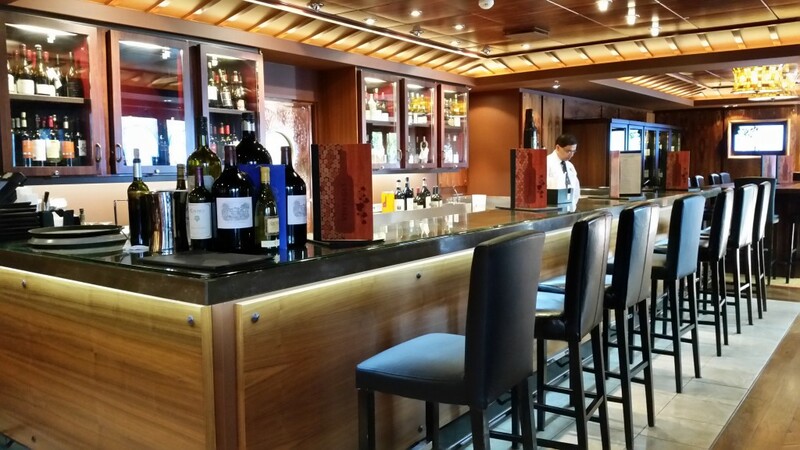 Also on deck 5, but located at the back of the ship, you’ll find the entrance to one of the three main restauarants onboard Allure of the Seas. 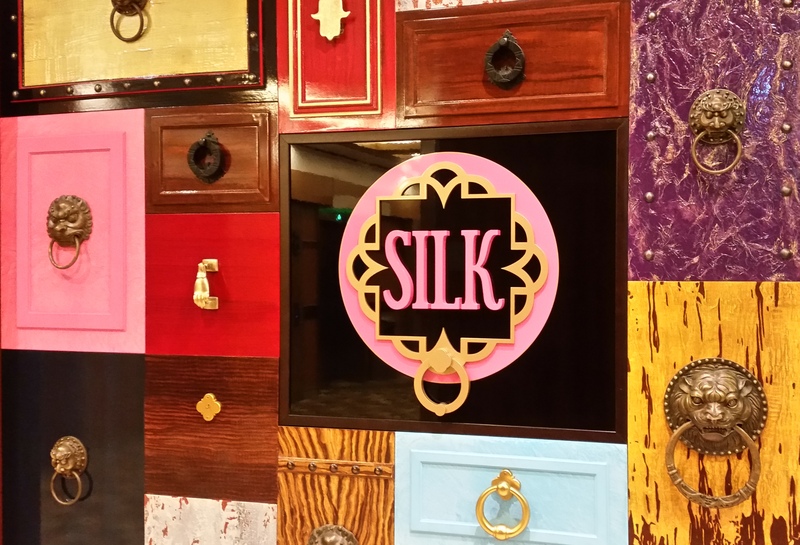 As the name suggests Silk is the Asian-influenced restaurant with red and gold, silk curtains, tassels and embroidered chairs. 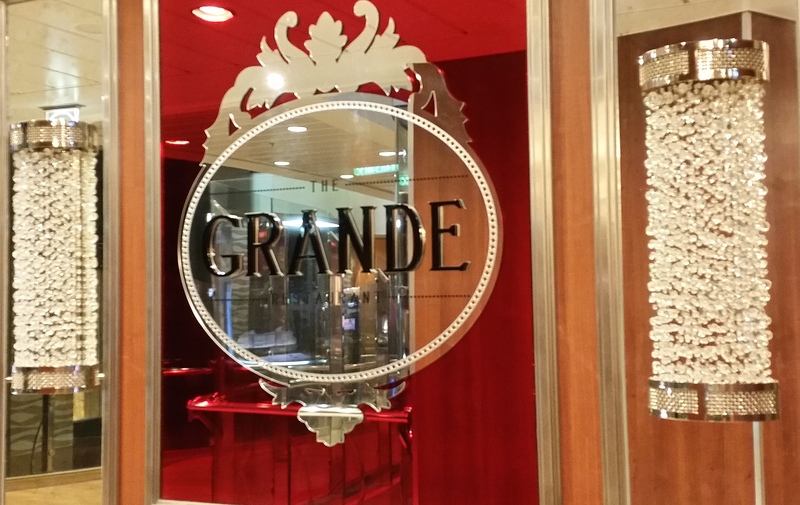 As in the other main restaurant, The Grande, there are two dinner seatings, one at 6 p.m. and the other at 8:30 p.m.
Royal had intended to roll out their Dynamic Dining concept after the refurbishment of Allure of the Seas, and The Grande on deck 4 was to be the most formal of the three main restaurants. 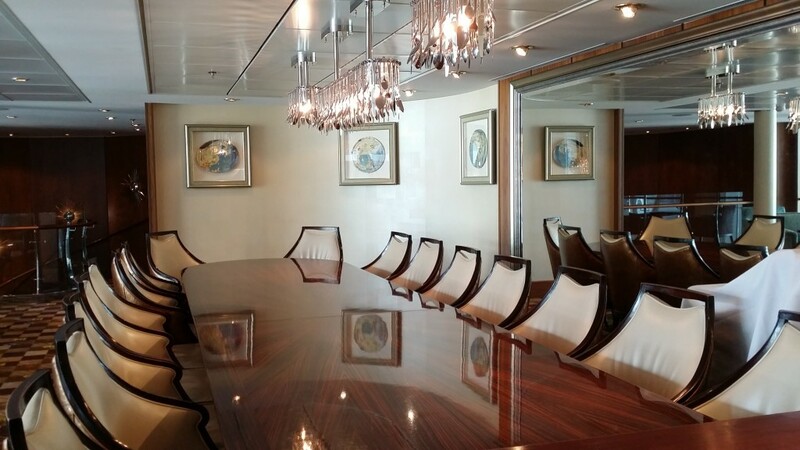 To create a more formal atmosphere they designed the room using dark wood, high-back chairs and lots of gold and mirrors. 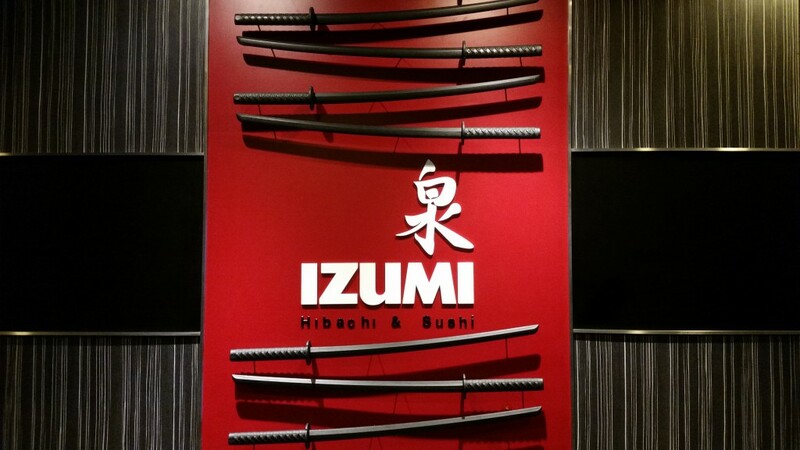 Also on deck 4, and next to The Grande is Izumi, serving traditional Japanese dishes like sushi rolls, sashimi, hot rock (ishi-yaki) plates, and more. 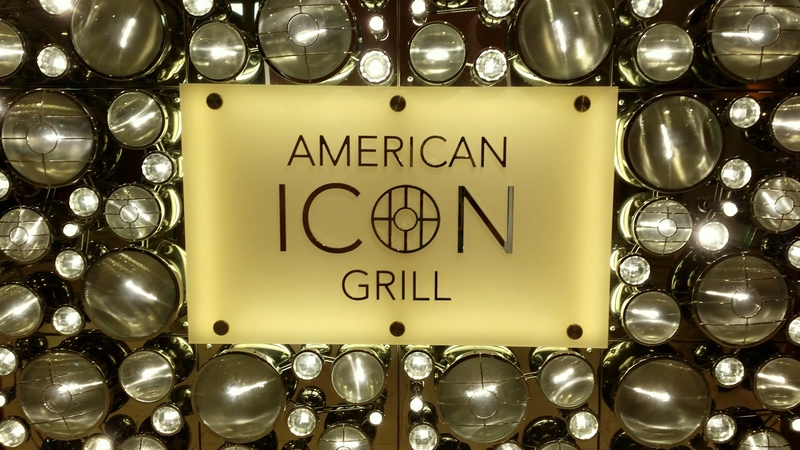 Finally on deck 3 is the third main restaurant, American Icon Grill. 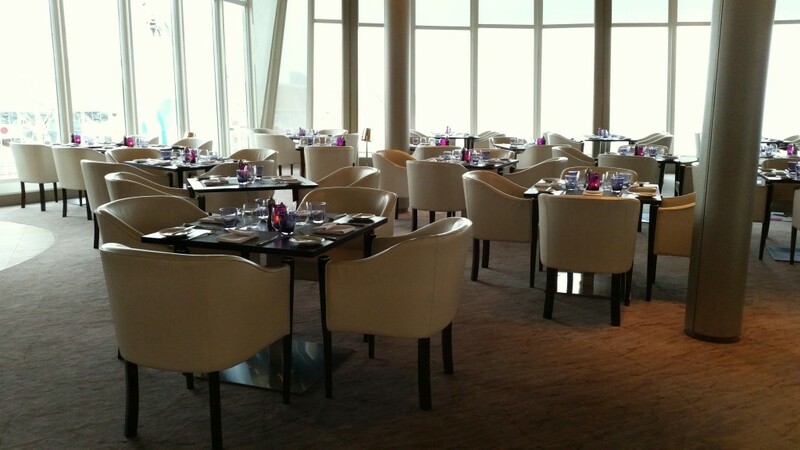 The restaurant is open for breakfast and lunch to anyone, while dinner is just for guest with My Time Dining. 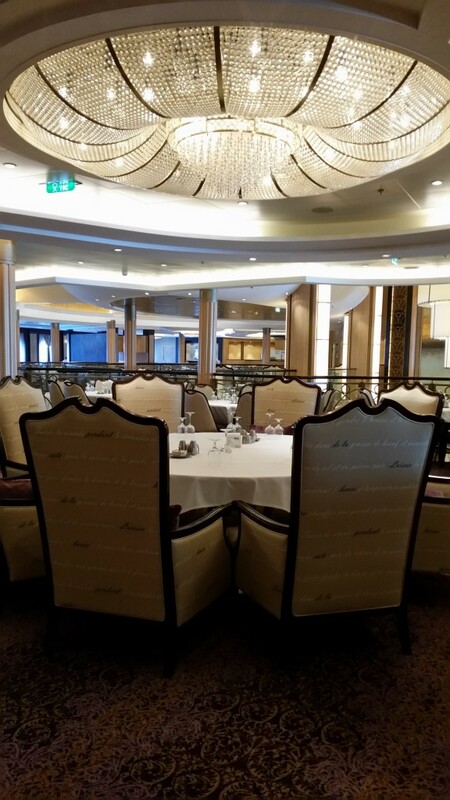 During lunch the restaurant turns into “Brasserie 30” where you can finish eating in 30 minutes. 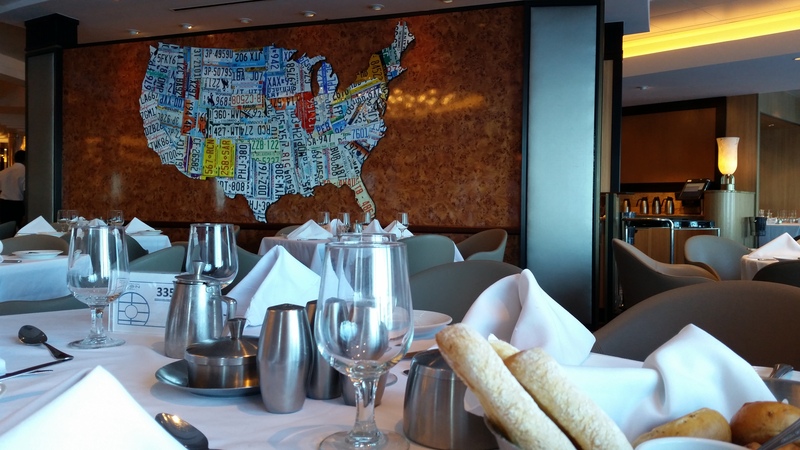 The walls are decorated with maps of the USA made out of state license plates making it the most contemporary of the restaurants. All this running around the ship and crawling through the restaurants made us tired and hungry. 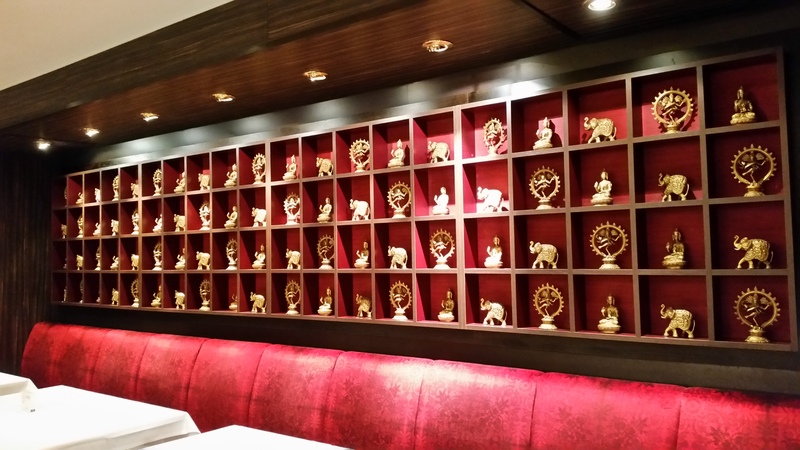 Time to go back to our cabin and order something to eat… roomservice!